Meghan Markle Makes First Solo Royal Appearance & All Everyone Can Talk About Is Her Shutting Her Own Car Door + *Squints* Is That A Baby Bump? After playing netball with her husband Prince Harry and a few students, Meghan Markle stepped out for her first solo appearance as a royal. 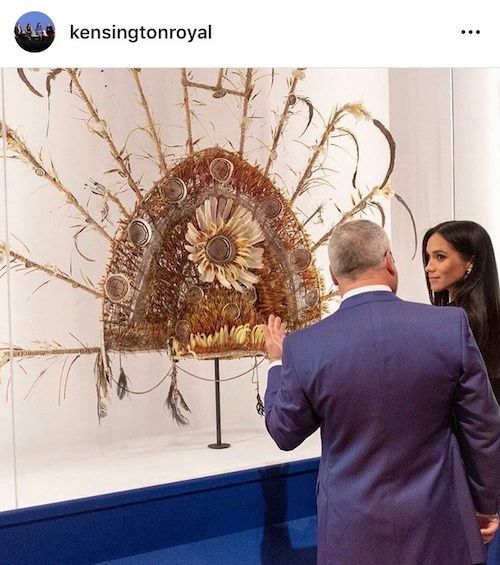 The Duchess of Sussex celebrated the opening of the "Oceania" exhibit at London's Royal Academy of Arts, four months after tying the knot in an epic royal wedding. As she settles into her new role as a member of the royal family, the former "Suits" actress still reminds us she's a regular person at heart. When she pulled up at the Royal Academy of Arts, she got out, greeted one of the hosts, and then she closed her car door. Apparently, royals generally have their car doors opened and closed by staff members. It reminds us of the time during Meghan's first royal appearance with Queen Elizabeth when she started to get in the car on the wrong side. She's still learning! We definitely think she wasn't even thinking about closing the door and closed it out of habit. 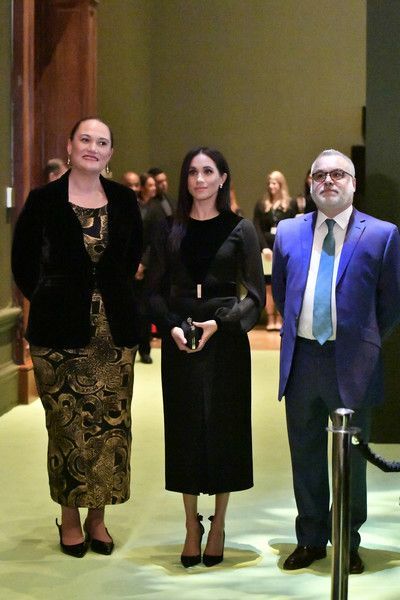 For the private museum tour, the 37-year-old royal wore a black Givenchy dress, pumps by Aquazzura and a black Givenchy clutch. We noticed she has been wearing her hair down in a sleek, straight style lately. By the way, Givenchy is the designer who made her royal wedding dress. If you squinch hard, it looks like a mini baby bump could be poking out. Rumors have been swirling for a while that she's pregnant, but nothing has been confirmed. However, her outfit choices lately have continued to fuel the rumors. All dark clothing, usually cinched at the waist or the waist hidden by ruffles. The Duke and Duchess of Sussex will make their first official visit to Sussex on October 3rd. Sweet!